Every Architect and administrator would love to achieve maximum throughput and hence achieve the optimum performance out of their overlay and underlay networks. Often Line-rate throughput is the throughput that each Architect/admin would aim for their workloads to leverage. In this blog, I will be sharing the best practices that Architects/admins can follow in order to achieve maximum throughput resulting in optimum performance. Line rate is defined as the actual speed with which the bits are sent onto its corresponding wire (physical layer gross bit rate). Its important to note that the maximum achievable throughput will be limited to to the hypervisor’s Physical NIC throughput along with the VM vNIC throughput (E1000/VMXNET3) irrespective of how massive is the throughput support on your underlay devices ( Switches/Firewalls). RSS (Receive Side Scaling) looks at the outer packet headers to make queuing decisions. For traffic going between just two nodes – the only thing different in the out headers is the source port and hence this is not really optimal. Note: Rx Filters, available since ESX 6.5 as a replacement to RSS, looks at the inner packet headers. Hence, queuing is lot more balanced. Like RSS, NIC cards need to support Rx Filters in hardware and they should have a driver, for it to work. If available, Rx Filters are enabled by default. VMware is working on having Rx Filters listed on the I/O compatibility guide. Using TSO (TCP Segmentation Offload) on the physical and virtual machine NICs improves the performance of ESX/ESXi hosts by reducing the CPU overhead for TCP/IP network operations. The host will use more CPU cycles to run applications. If TSO is enabled on the transmission path, the NIC divides larger data chunks into TCP segments whereas if TSO is disabled, the CPU performs segmentation for TCP/IP. TSO is enabled at the Physical NIC card. If you are using NSX, make sure to purchase NIC cards that have the capability of VXLAN TSO offload. Enabling LRO (Large Receive Offload) reassembles incoming network packets into larger buffers and transfers the resulting larger but fewer packets to the network stack of the host or virtual machine. The CPU has to process fewer packets when LRO is enabled which reduces its utilization for networking. LRO is enabled at the Physical NIC card. If you are using NSX, make sure to purchase NIC cards that have the capability of VXLAN LRO offload. The more NIC Bandwidth you will have the less bottlenecks you will create. Having multiple PCI-e busses will help with higher maximum system bus throughput, lower I/O pin count and smaller physical footprint resulting in better performance. To achieve maximum throughput (whether on traditional VLAN or VXLAN), having the underlay supporting 9K MTU jumbo frames will have a huge impact in enhancing the throughput. This is will be extremely beneficial when if the MTU on the VM itself has a corresponding 8900 MTU. This is a useful best practice for folks having NSX Distributed Firewall (DFW) Configured. 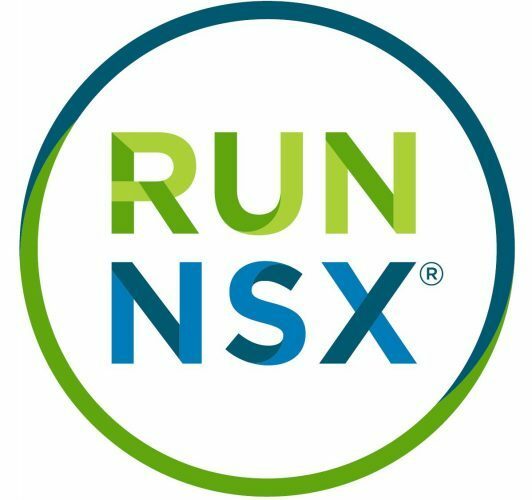 NSX DFW leverages 6 memory heaps for vSIP (VMware Internetworking Service Insertion Platform) where each of those heaps can saturate more efficiently with more physical Memory available to the host. Note below that each hip uses a specific filter part of the DFW functionality. A good best practice is definitely following the maximum tested guidelines. The driver and firmware versions should be on the latest release and the recipe should match. You Can also pick the NICs that support VXLAN offload features ( TSO/LRO) using that matrix. Next Post What is the Virtual Any Cloud Network?